This universal laptop charger from Sumvision allows for laptop computers and digital electronic devices to be charged. This adapter comes with 9 detachable DC plugs to fit into almost any laptop and aviod the christmas tree of live plugs found in some adapters. Simply pick the end which fit into your laptop then attach the end to the charger and plug into the laptop as you would with the original cable. 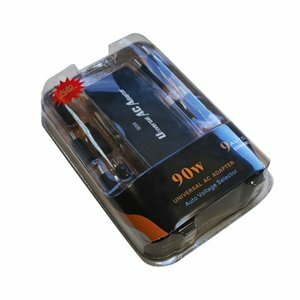 This charger outputs up to 95w so please check the power ratings on the bottom of your laptop or electrical device and match this up with the specifications tab to ensure this is the correct product for you.